Mink Brazilian Body Wave Revie..
Drop Shipping Mink Hair Customized Wrap Label..
Mink Vendor 10A Grade #1B/613 Blonde Hair Omb..
Mink Hair Weave Amour Black Root Two Tone Omb..
10A Mink Brazilian 5*5 Lace Closure with Baby..
360 Lace Frontal 100% Human Virgin Hair Body ..
Wholesale Mink Brazilian 3 Bundles Deal Mink ..
Free Shipping Bundle Deals Mink Brazilian Hai..
Mink Hair 100% Human Hair Deep Wave Bundles w..
Mink Brazilian Hair Loose Wave 10A Grade Huma..
Mink Hair Free Shipping Curly Brazilian Hair .. Welcome to Mink Hair, We Are Selling 10A Grade Top Quality Virgin Mink Hair Weave, Mink Brazilian Hair! We Have More Than 11 Years Experiences We are a reputable and experienced online wholesale seller of 100% human Mink hair extensions. Multiple customer testimonials from all over the world provide solid proof of our high-quality products and customer care service. We got the extra mile for our clients and not only provide them with quality products but also provide quality after-sale service. We are always here to help! We are the only one who have so many styles of 3d mink lash. The real Mink Hair Vendor and The real Mink Lash Vendor on the market! We Are the Real Mink Hair Vendor in China, Our Customers All Over The World. Our 100% Virgin Unprocessed Mink Brazilian Hair is the highest quality hair extensions on the market. We only sell 10A Top Grade Human Hair. 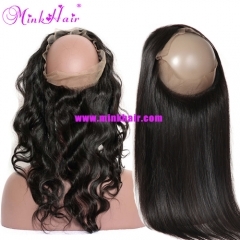 We have online Mink Hair Extensions store for retail, and we offer wholesale Mink Hair Orders and drop shipping as well. We aceept big orders and samll orders, we want our customers happy. 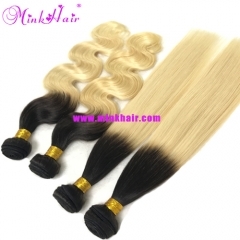 MINK HAIR Main Product: Mink Hair Bundles (Mink Brazilian Hair Bundles, Mink Peruvian Hair, Mink Malaysian Hair, Raw Indian Hair, Mink Cambodian Hair, Mink Burmese Hair), Lace Closure, Lace Frontal, 360 Lace Frontal, Platinum Blonde Hair, Full Lace Wigs, Blonde Wigs, Front Lace Wig, Ombre Color Hair, Two Tone Hair, Ombre 1B/613, 1B/Grey Hair, Ombre 99J Hair, Red Hair, Purple Hair, Blue Hair, Clip In Hair, Tape In Hair Extensions, Ponytail Hair,. Mink Hair Textures: 8 Textures, Body Wave, Silky Straight, Loose Wave, Deep Wave, Mink Curly Wave, Natural Wave, Italian Wave, Water Wave. 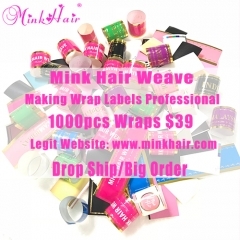 Others Product: Mink Lash, mink 3D lash, Wrap Labels, Hair Bags, Lash Bags. Copyright © 2019 Minkhair.com All Rights Reserved.